It was mid-afternoon and already the crowd had given itself over to wild abandon. Standing on picnic tables, skinny girls in hot pants and crop-tops gyrated to thumping beats, upending bottles of vodka into the mouths of the bare-chested men dancing beside them. Having worked out obsessively – though even in the gym they keep their make-up immaculate, their nails painted, and their hair perfectly straightened – the ladies revelled in showing off their figures, in the unlikely setting of a hen party in the Lebanese mountains. And what they hadn’t perfected with exercise, they had fixed with plastic surgery. In the upper echelons of Lebanese society, the most important thing is to see and be seen. Consumption is the ultimate good. An open-top car, Christian Louboutin shoes and a full-time, live-in maid to look after one’s children are all must-have accessories. Beauty is paramount: parents are known to book nose jobs as a birthday presents for their teenage children, and the youngsters wear their stitches proudly, as badges of honour. The average cost of a birthday party among this elite, one event organiser tells me, is $200,000. A wedding is $300,000. It is a lifestyle that few can realistically afford. So they rely on credit. It is said that most of the country’s big spenders sustain their lifestyles using bank loans they cannot obviously repay. The phenomenon is often explained as a consequence of the civil war: after decades spent trying just to survive, there comes overcompensation – an attempt to prove to themselves, and to those around them, that they have conclusively moved on from its horrors. Scratch below the surface, and it is clear that the gaping social wounds caused by the civil war are far from resolved. In Lebanese classrooms, history ends in 1943. Everything after that – the 15 years of sectarian violence that saw 200,000 people killed or disappeared, and the conflict with Israel – is deemed “too controversial” to teach. Society remains divided. Most Lebanese put sect before country. Beirut is a patchwork of separate cantons (in Christian Ashrafieh, the women wear miniskirts, while 10 minutes’ walk east, in the mostly Shia district of Basta, the prevailing fashion is the hijab). The communities rarely interact. Rushing through the city’s Armenian quarter one night, on my way to the chic downtown district, I was stopped by an elderly man who warned me not to go on. “There are Muslims there,” he cautioned. With the government unable to settle on an agreed version of past events that can be taught in school, children turn instead to their relatives for information about the momentous events that have torn this country apart. But in so doing, they mostly hear a one-sided version. The “us” and “them” of war transfers to the next generation, and empathy, so critical for the fostering of true and lasting peace, falls by the wayside. 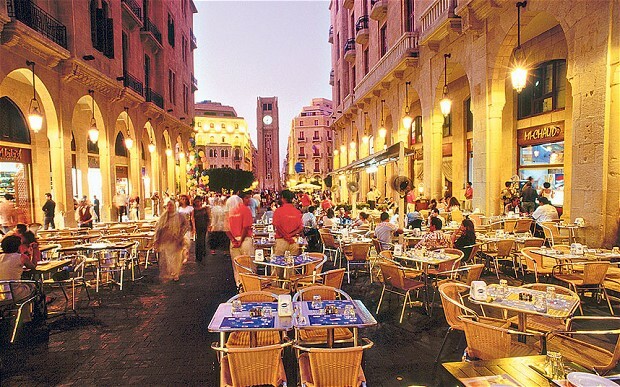 A Lebanese businessman told me recently how he had struggled to persuade a British colleague to come to Beirut. For years she refused to visit, until it became a necessity for her work. Convinced she was flying into a war zone, her hands shook with fear as she checked in at Heathrow. On the plane she broke into floods of tears. Lebanon’s vital signs – the economy, the sectarian enmity, and the spillover from Syria – often yield news headlines that predict war and violence. But the country has proven supremely resilient, and it remains, for the most part, a visitor’s dream. Sure, there are daily power cuts, and the summers are passed in a sweaty mess when the water runs out. 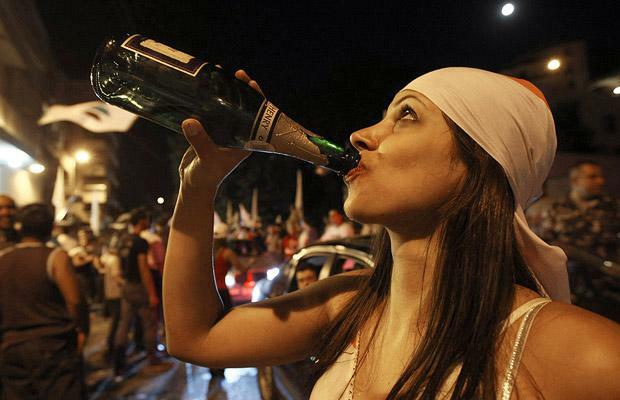 But rather than dodging flying bullets, day to day, the biggest risk to foreigners in Lebanon is a thick waistline and a stinking hangover. 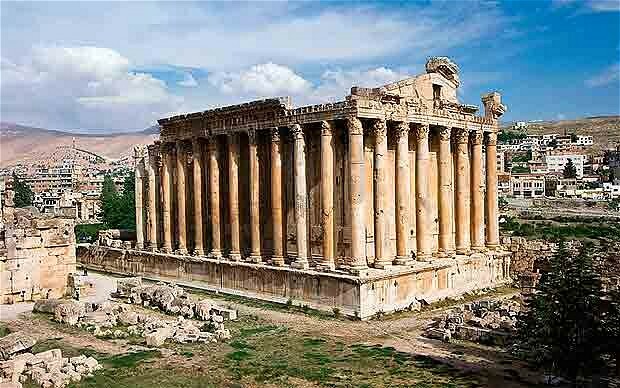 For now, sadly, even at the magnificent Greco-Roman temples of Baalbek, the tourist touts sit together at a coffee table by the empty ticket hall. A camel, dressed up to the nines, with an embroidered doily resting between its ears and an elaborately carved wooden saddle on his back, waits under a tree, desolately swatting flies with its tail. The businessman’s friend may well have been their last customer. Newer Post We Made History again with Jim Beam Rocks 2015! Older PostWin Tickets to Make History at Lebanon’s Biggest Rock Concert: Jim Beam Rocks!